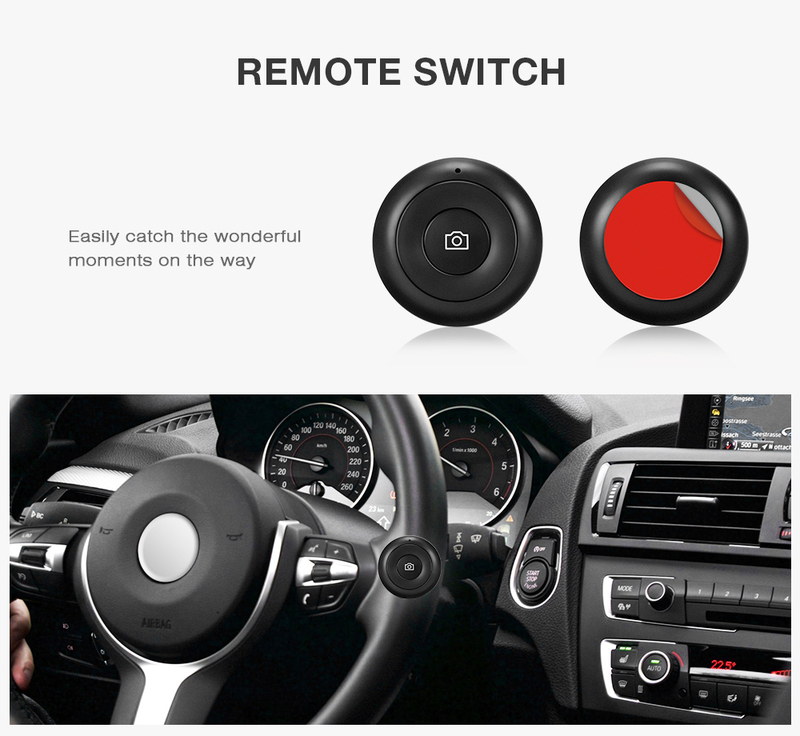 - Remote switch allows one key snap, taking pictures as you wish. 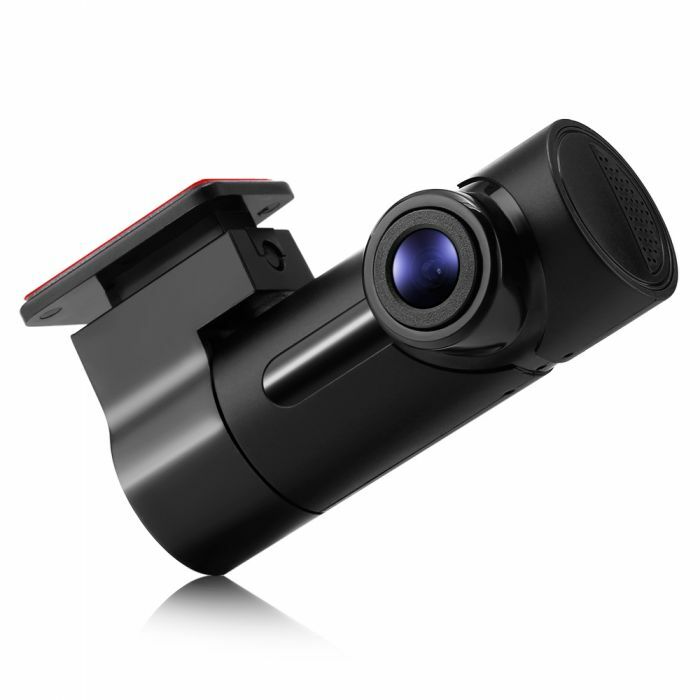 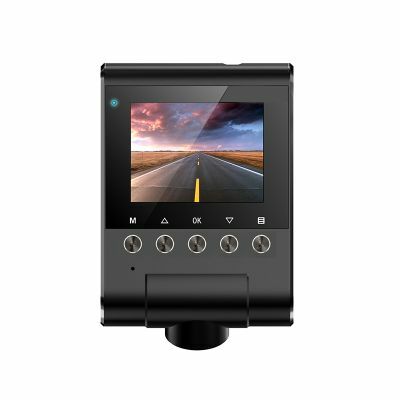 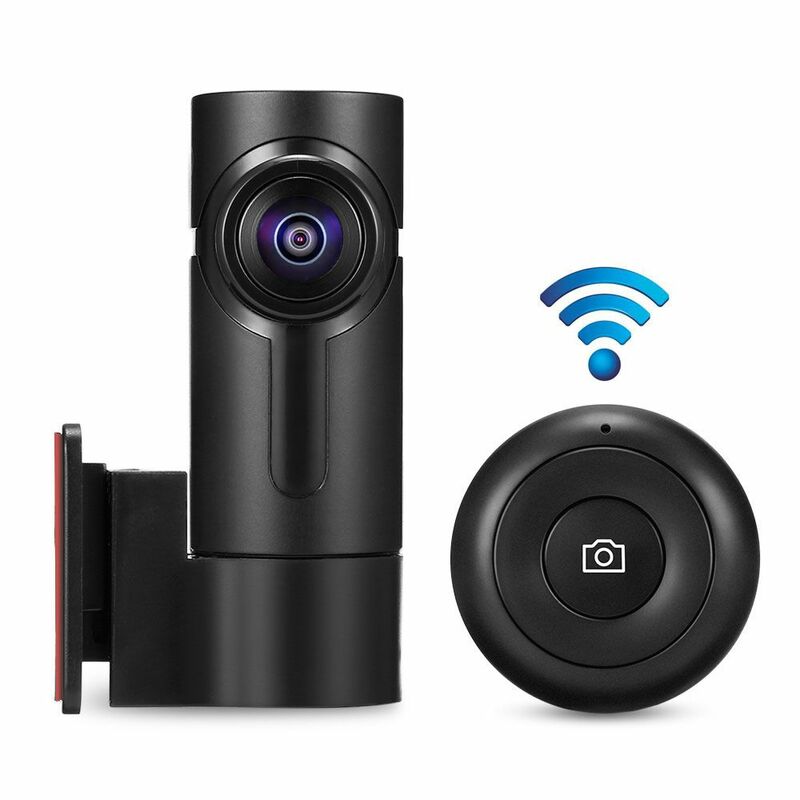 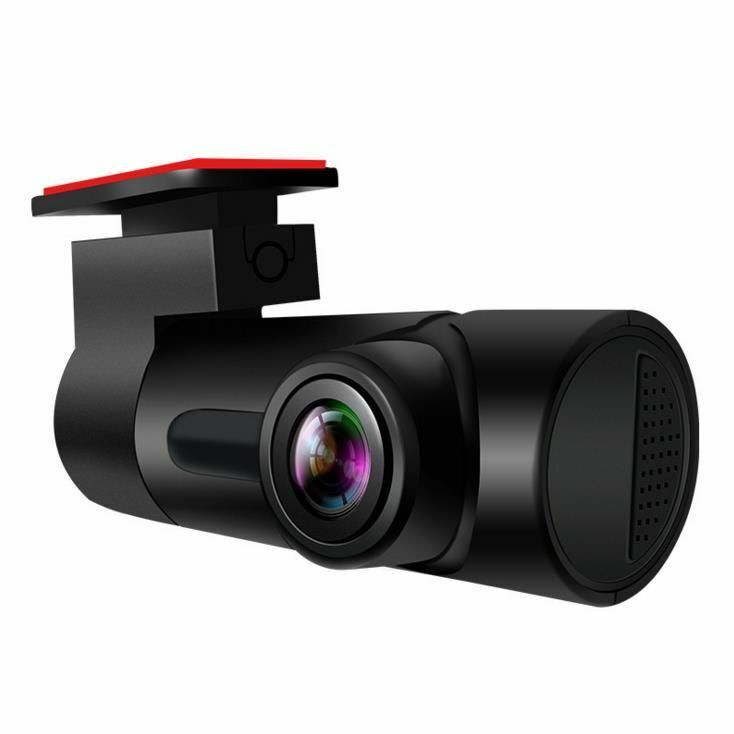 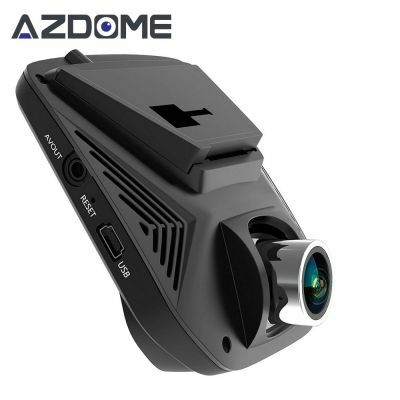 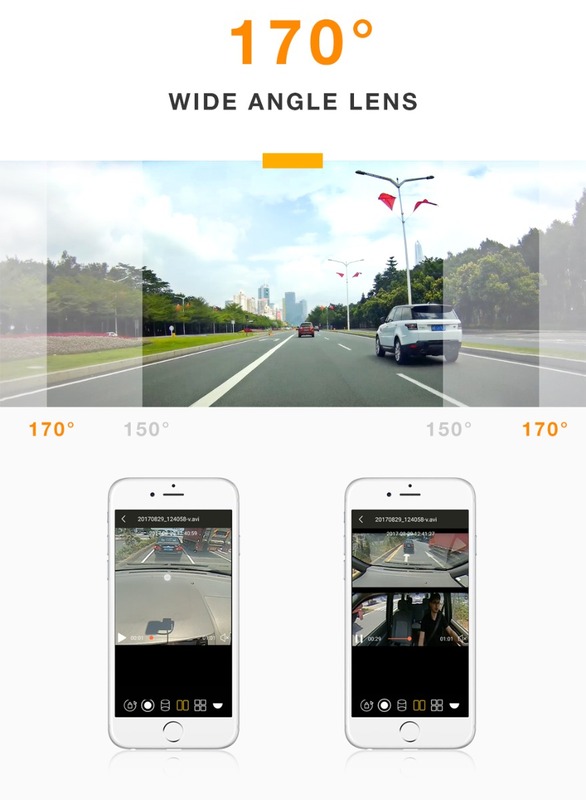 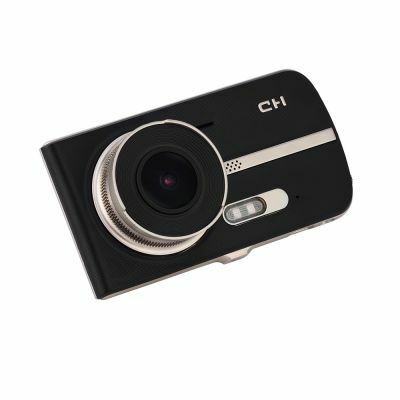 - 170 degree wide angle lens records every event even driving in high speed. 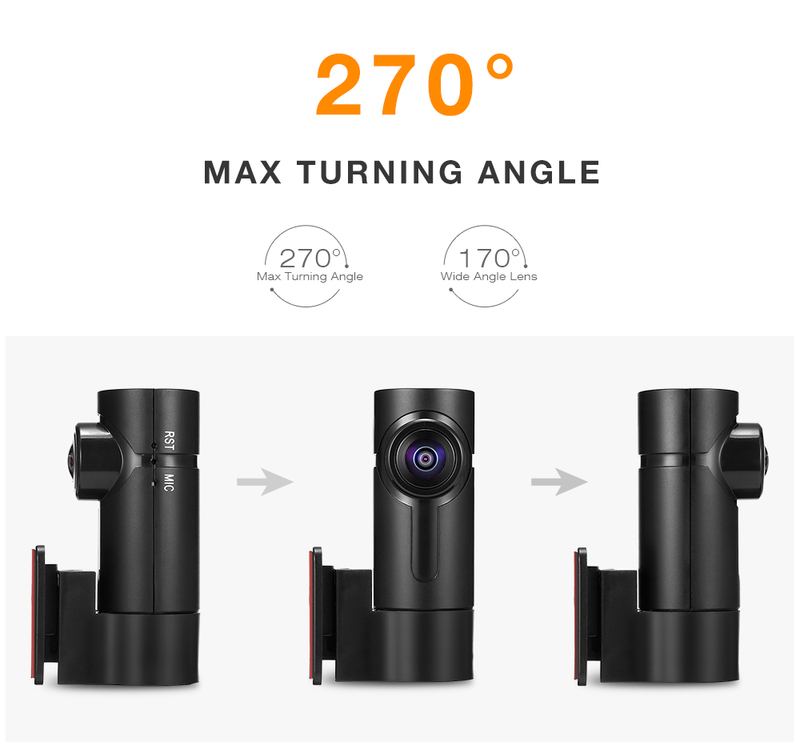 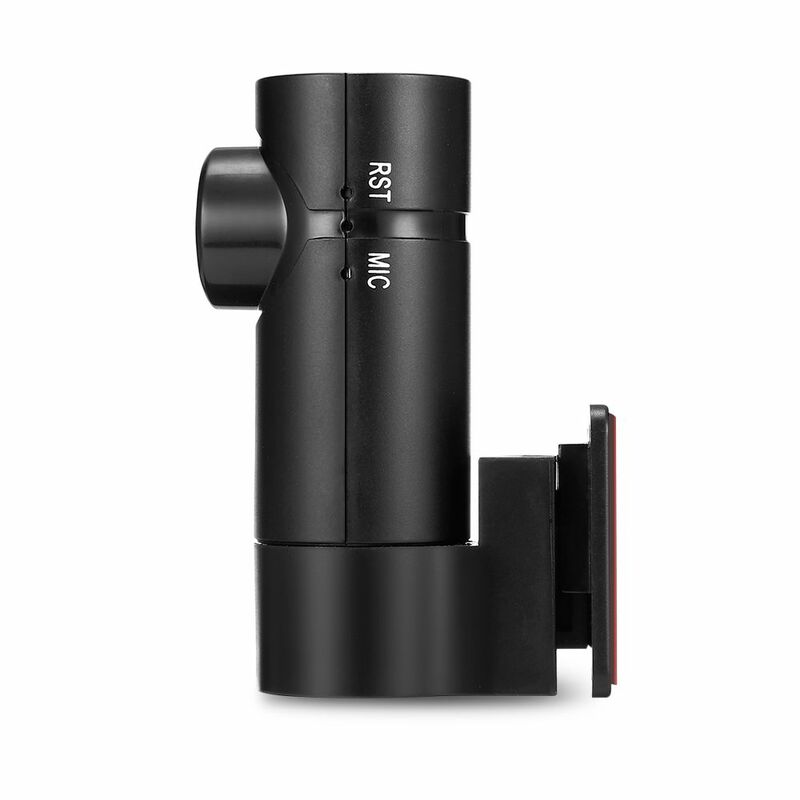 - 270 degree max turning angle lens provides more optional angle to capture every detail and movement. 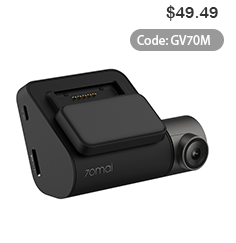 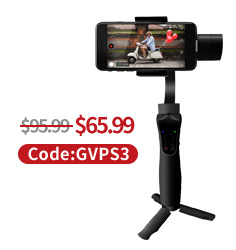 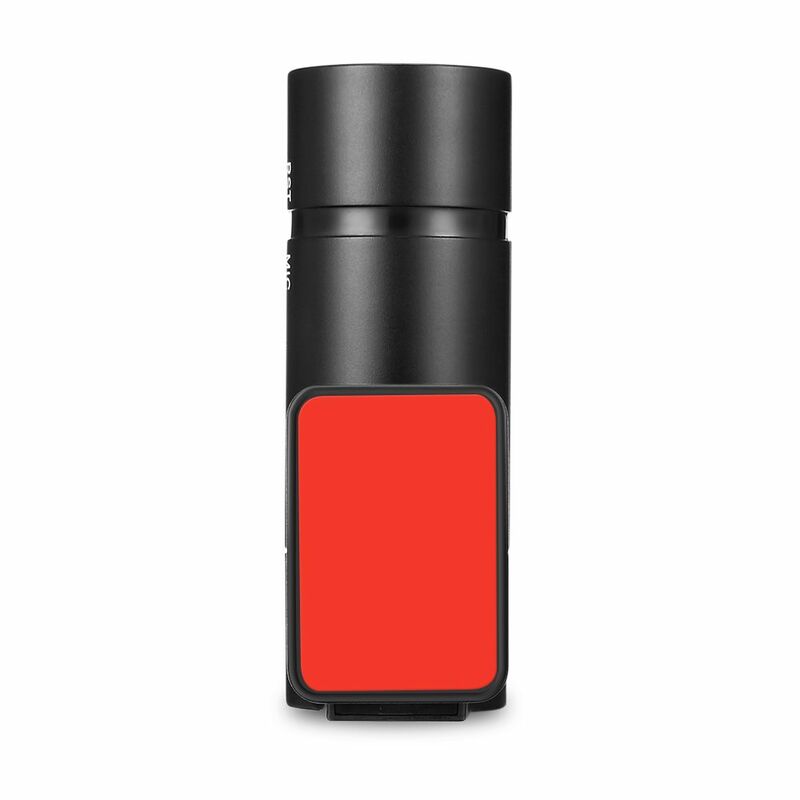 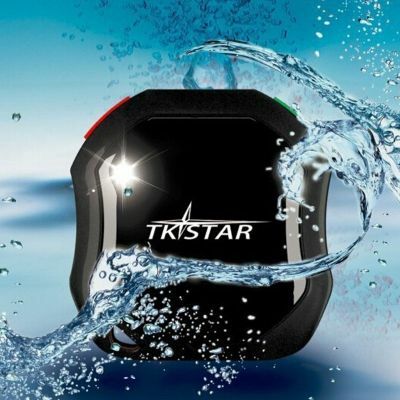 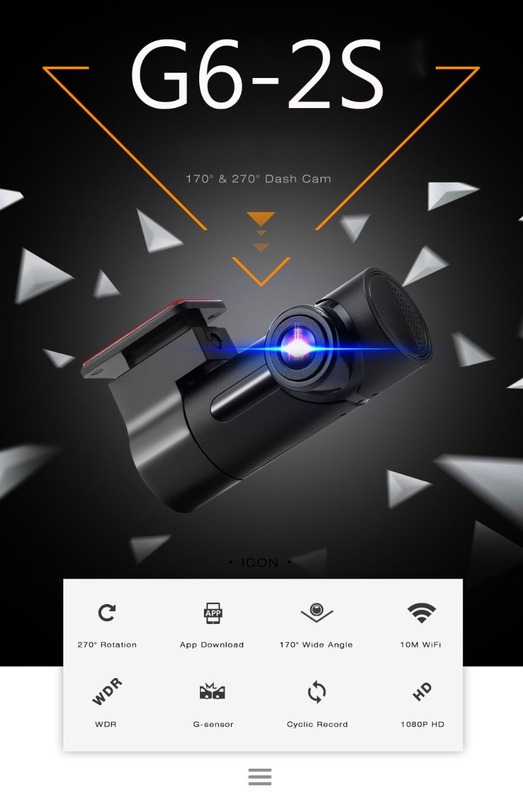 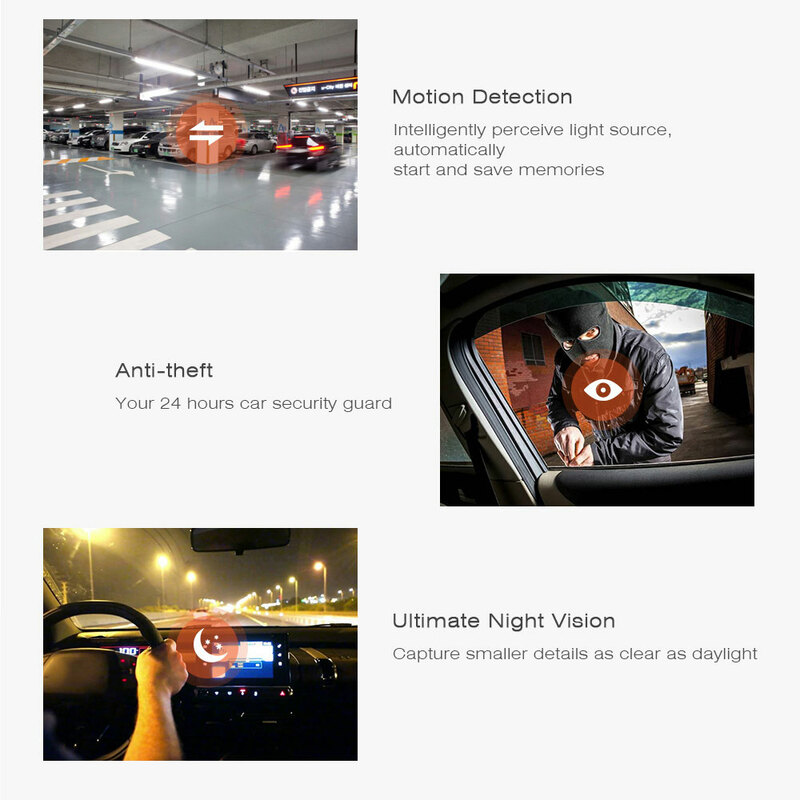 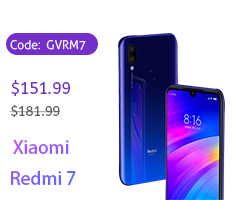 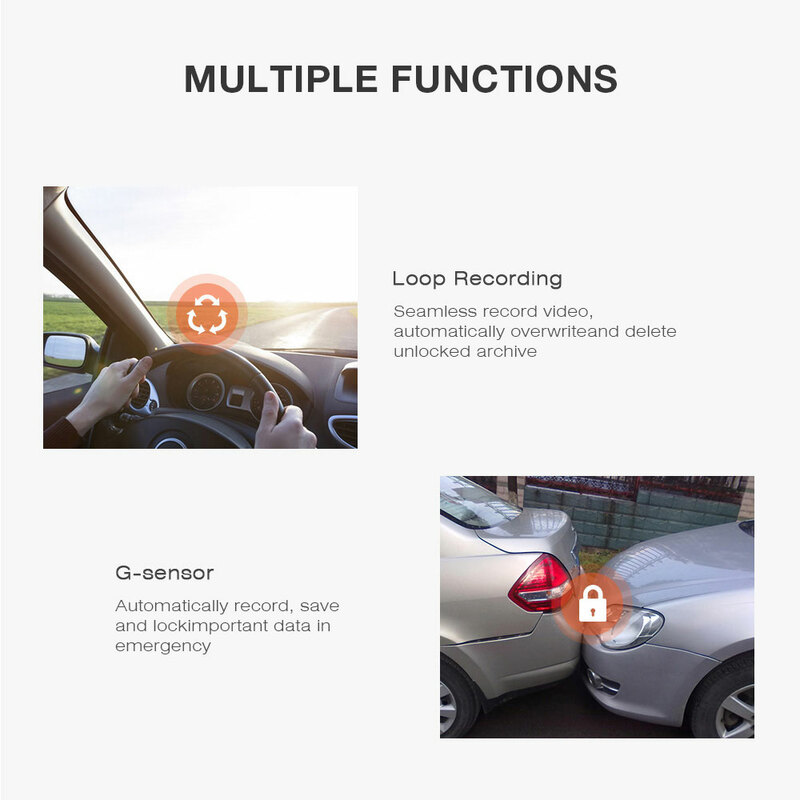 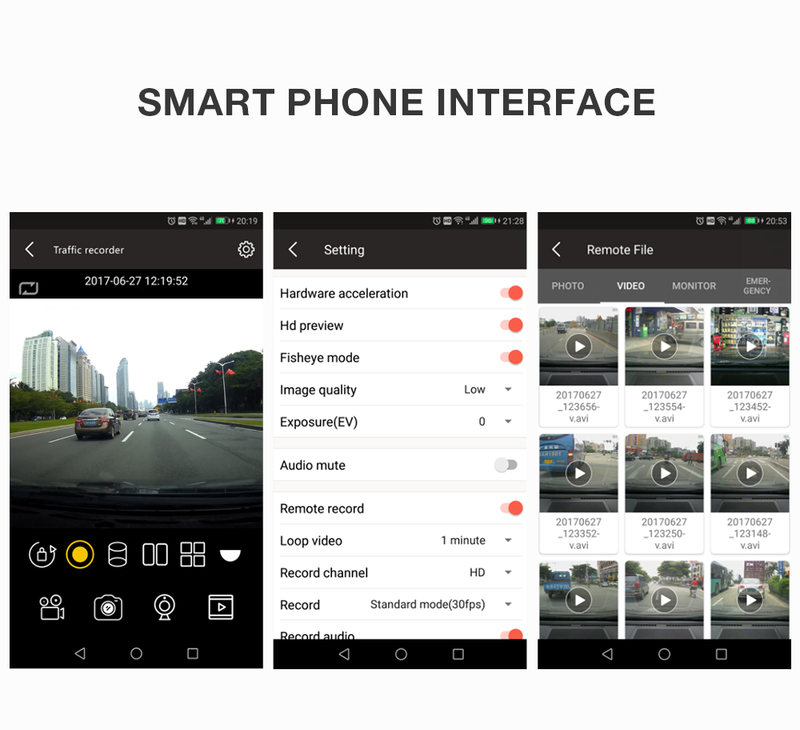 - While shocked by external force suddenly, its G-sensor can sense and lock the video immediately; the instantaneous video can be the evidence of an accident. 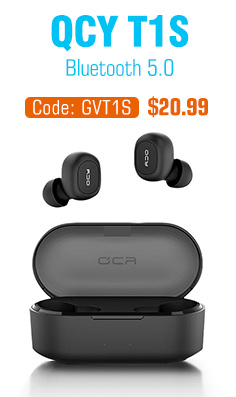 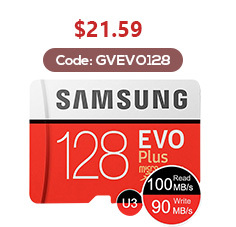 - Supports max 128GB TF card (not included), the loop recording is 3min, after the capacity of the TF Card is full, and the previous contents shall be covered automatically. 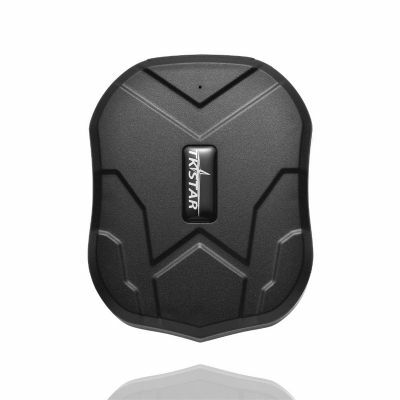 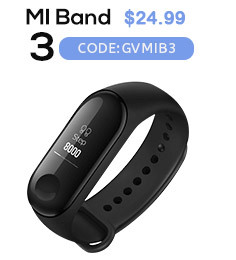 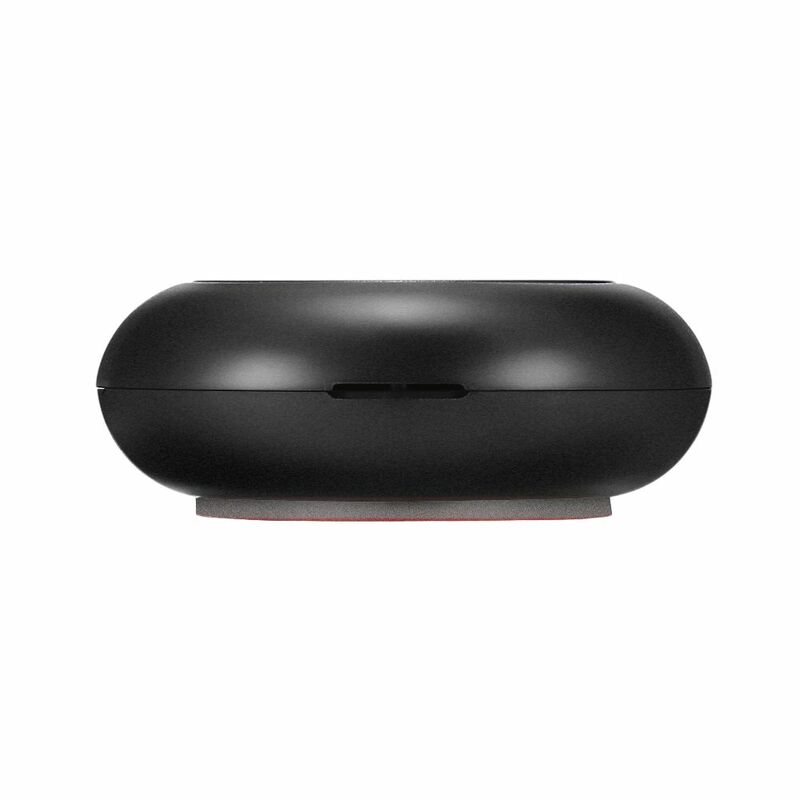 - Built-in WiFi supports up to 10m connect distance, fearless to no signal. 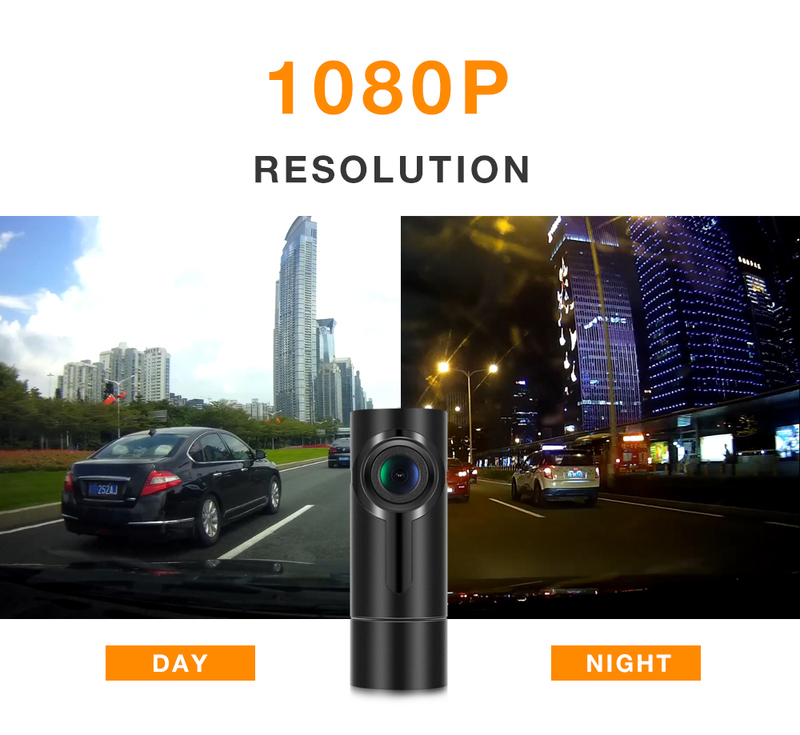 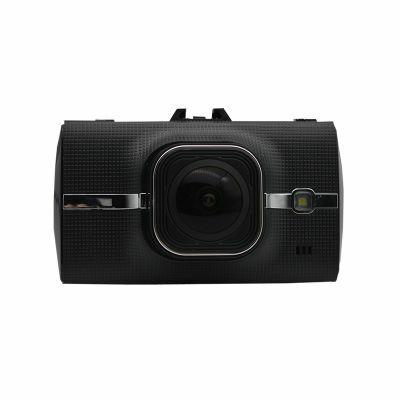 - 6G + 1R OV9750 camera sensor brings 1080P HD resolution. 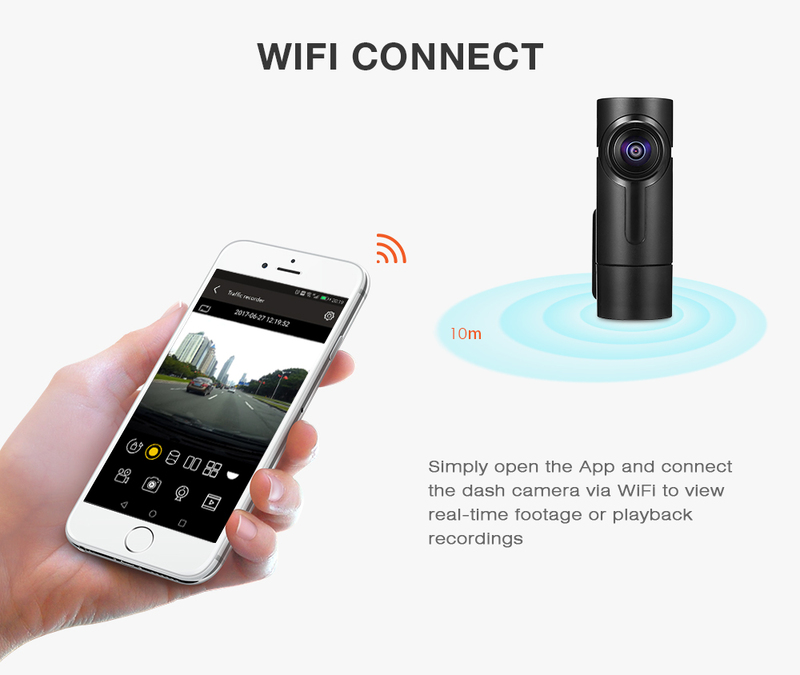 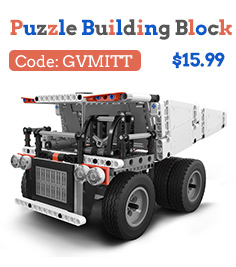 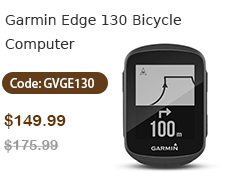 - Supports 100 meters WiFi parking monitoring with your phone. 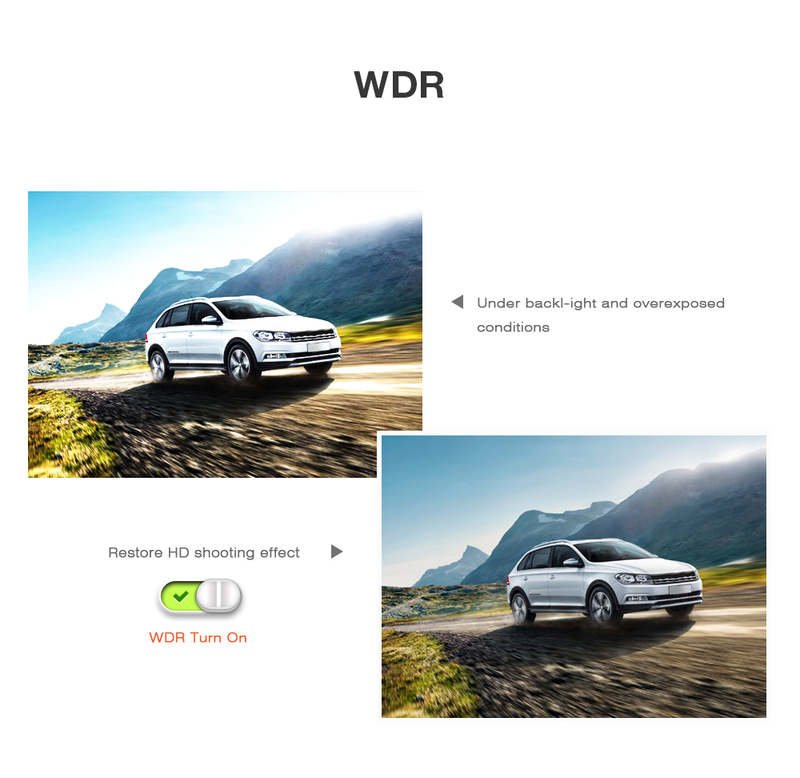 - WDR allows camera to perform optimally even in low light situations. 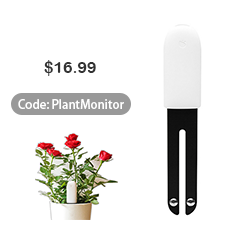 - Parking monitoring function should be achieved with a dedicated buck cable.